The Lapland War was fought between Finland and Nazi Germany effectively from September to November 1944 in Finland's northernmost region, Lapland, during World War II. Although Finns and Germans had been fighting the Soviet Union (USSR) together since 1941 during the Continuation War, the Soviet Vyborg–Petrozavodsk Offensive in the summer of 1944 forced Finnish leadership to negotiate a separate peace agreement. The Moscow Armistice demanded Finland break diplomatic ties with Germany and expel or disarm any German soldiers remaining in Finland after 15 September 1944. By the end of hostilities, Finland managed to defend its independence, but had to cede nearly 10% of its territory, including its second largest city, Viipuri, and pay out a large amount of war reparations to the Soviet Union. As a result of this territorial loss, all East Karelians abandoned their homes, relocating to areas that remained within the borders of Finland. War reparations of Finland to the Soviet Union were originally worth US$300,000,000 at 1938 prices. Finland agreed to pay the reparations in the Moscow Armistice signed on 19 September 1944. The protocol to determine more precisely the war reparations to the Soviet Union was signed in December 1944, by the prime minister Juho Kusti Paasikivi and the chairman of the Allied Control Commission for controlling the Moscow Armistice in Helsinki, Andrei Zhdanov. Juho Kusti Paasikivi was the seventh President of Finland (1946–1956). Representing the Finnish Party and the National Coalition Party, he also served as Prime Minister of Finland, and was an influential figure in Finnish economics and politics for over fifty years. He is remembered as a main architect of Finland's foreign policy after the Second World War. Operation Barbarossa began on 22 June 1941. On 25 June the Soviet Union launched a massive air raid against Finnish cities, after which Finland declared war and also allowed German troops stationed in Finland to begin offensive warfare. 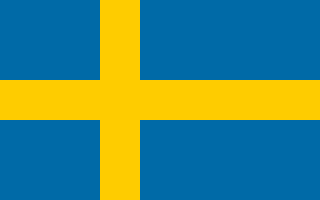 The resulting war was known to the Finns as the Continuation War. The Lapland War was fought between Finland and Nazi Germany in Lapland, the northernmost part of Finland. The main strategic interest of Germany in the region was the nickel mines in the Petsamo area. The Germans adopted a scorched-earth policy, and proceeded to lay waste to the entire northern half of the country as they retreated. Around 100,000 people lost their homes, adding to the burden of post-war reconstruction. The actual loss of life, however, was relatively light. Finland lost approximately 1,000 troops and Germany about 2,000. 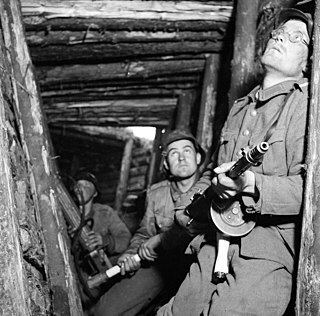 The Finnish army expelled the last of the foreign troops from their soil in April 1945. As part of the Paris Peace Treaty, Finland was classified as an ally of Nazi Germany, bearing its responsibility for the war. The treaty imposed heavy war reparations on Finland and stipulated the lease of the Porkkala area near the Finnish capital Helsinki as a military base for fifty years. The reparations were initially thought to be crippling for the economy, but a determined effort was made to pay them. The reparations were reduced by 25% in 1948 by the Soviet Union and were paid off in 1952. Porkkala was returned to Finnish control in 1956. During World War II, Finland was in many ways a unique case: It was the only European country bordering the Soviet Union in 1939 which was still unoccupied by 1945. Of all the European countries fighting, only three European capitals were never occupied: Moscow, London and Helsinki. It was a country which sided with Germany, but in which native Jews and almost all refugees were safe from persecution. It was the only co-belligerent of Nazi Germany which maintained democracy throughout the war. It was in fact the only democracy in mainland Europe that remained so despite being an involved party in the war. 1 2 Vehviläinen 2002, pp. 5–7. 1 2 Vehviläinen 2002, pp. 7–10. ↑ Jews in Finland During the Second World War Archived 3 March 2016 at the Wayback Machine – Vuonokari, Tuulikki; university paper at the Department of Translation Studies, University of Tampere, 2003. ↑ Jakobson, Max (16 November 2003). "Wartime refugees made pawns in cruel diplomatic game". Helsingin Sanomat. Archived from the original on 4 June 2011. Retrieved 31 July 2014. Vehviläinen, O (2002). Finland in the Second World War: Between Germany and Russia. Translated by McAlester, G. London: Palgrave Macmillan. ISBN 0-333-80149-0. Kelly, Bernard. "Drifting Towards War: The British Chiefs of Staff, the USSR and the Winter War, November 1939 – March 1940." Contemporary British History (2009) 23#3 pp: 267–291. Kinnunen, Tiina; Kivimäki, Ville, eds. (2012). Finland in World War II: History, Memory, Interpretations. Leiden: BRILL. ISBN 978-90-04-21433-0. Kirby, D. G. (1979). Finland in the Twentieth Century: A History and an Interpretation. C. Hurst & Co. ISBN 0-905838-15-7. Westerlund, Lars, ed. (2008). Sotavangit ja internoidut : Kansallisarkiston artikkelikirja [Prisoners of war and internees : a book of articles by the National Archives](PDF) (in English, Finnish, and Norwegian). Helsinki: Kansallisarkisto. p. 568. ISBN 9789515331397. Archived from the original (PDF) on 15 August 2014. Retrieved 25 October 2016. 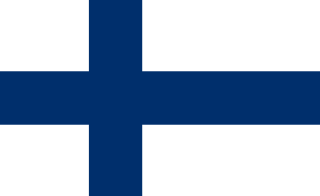 Wikimedia Commons has media related to Finland in World War II . Co-belligerence is the waging of a war in cooperation against a common enemy with or without a formal treaty of military alliance. Generally, the term is used for cases where no alliance exists. Likewise, allies may not become co-belligerents in a war if a casus foederis invoking the alliance has not arisen. Co-belligerents are defined in the Encyclopaedic Dictionary of International Law as "states engaged in a conflict with a common enemy, whether in alliance with each other or not". 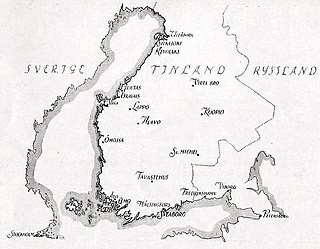 The Aunus expedition was an attempt by Finnish volunteers to occupy parts of East Karelia in 1919, during the Russian Civil War. Aunus is the Finnish name for Olonets Karelia. This expedition was one of many Finnic "kinship wars" (heimosodat) fought against forces of Soviet Russia after the Russian Revolution of 1917 and during the Russian Civil War. The Finnish Army is the land forces branch of the Finnish Defence Forces. Today's Army is divided into six branches: the infantry, field artillery, anti-aircraft artillery, engineers, signals, and materiel troops. The commander of the Finnish Army since 1 August 2017 is Lieutenant General Petri Hulkko. The Order of the Day of the Sword Scabbard, or the Sword Scabbard Declaration, actually refers to two related declarations by the Finnish Commander-in-Chief Carl Gustaf Emil Mannerheim during World War I and World War II against Soviet control of East Karelia. The Ryti–Ribbentrop letter of agreement of June 26, 1944, was a personal letter from President Risto Ryti of Finland to German Führer Adolf Hitler whereby Ryti agreed not to reach a separate peace in the war with the Soviet Union without approval from Nazi Germany, in order to secure German military aid for Finland to stop the Soviet offensive. This letter marked the closest to an alliance that Finland and Nazi Germany came to during World War II. The timeline of the Winter War is a chronology of events leading up to, culminating in, and resulting from the Winter War. The war began when the Soviet Union attacked Finland on 30 November 1939 and it ended 13 March 1940. 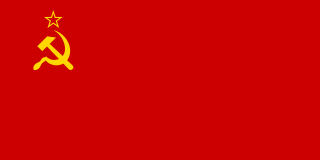 The 114th Rifle Division began service in July, 1939 as a standard Red Army rifle division, as part of the pre-war expansion of the Soviet forces. It was stationed on the Svir River front in the autumn of 1941 and had a relatively uneventful war facing the Finns until the Vyborg–Petrozavodsk Offensive began on June 10, 1944, from which point it saw much more active service. 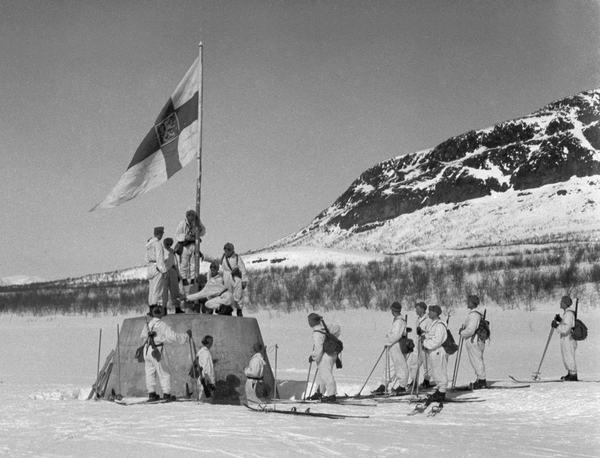 As the Finns were leaving the war the division was transferred to 14th Army in the Arctic, from where it helped to defeat and pursue the German forces from Lapland into Norway.